A top Indonesian military official says the Lion Air jet that crashed Monday may have been found in the Java Sea. Armed forces chief Hadi Tjahjanto says a search-and-rescue effort has identified the possible seabed location of the jet. A massive search effort has identified the possible seabed location of the crashed Lion Air jet, Indonesia's military chief said Wednesday, as experts carried out the grim task of identifying dozens of body parts recovered from a 27.7-kilometre search area. "This morning I've been briefed by the head of Search and Rescue Agency about the strong possibility of the location co-ordinates" of Flight 610, said armed forces chief Hadi Tjahjanto. "We're going to see it ourselves on location. And hopefully that is the main body of the plane that we've been looking for." 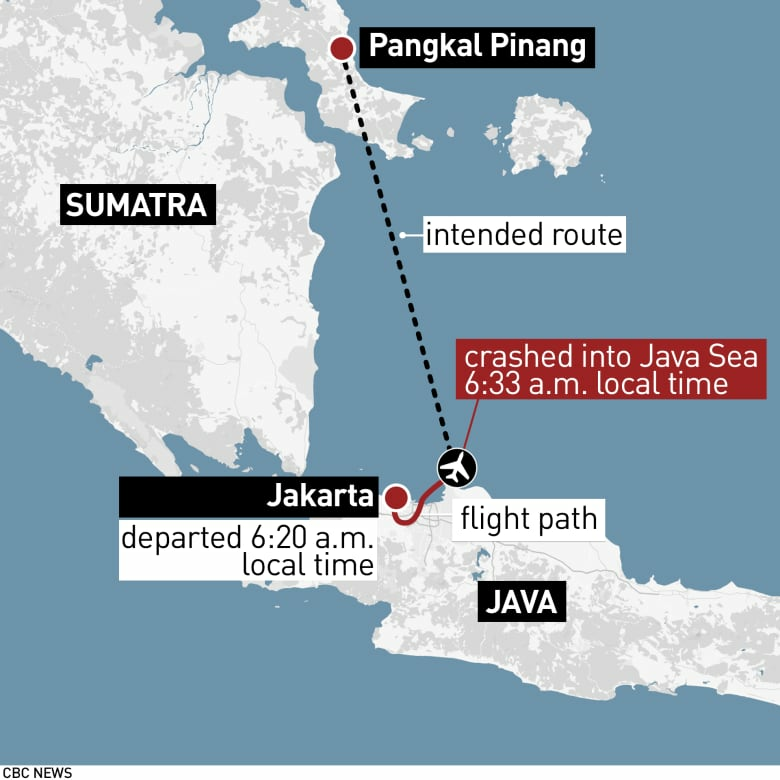 Indonesia's navy said a 22-metre-long object suspected to be part of the crashed jet was located at a depth of 32 metres in seas northeast of Jakarta. 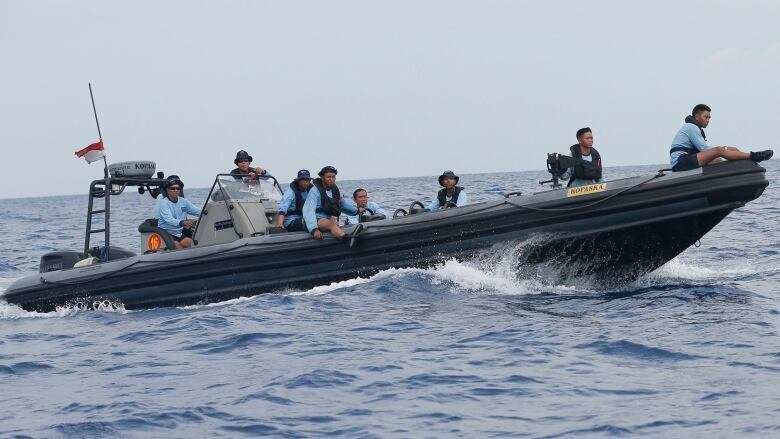 Navy officer Haris Djoko Nugroho said in a television interview divers will be deployed after a side-scan sonar produced a more detailed image of the object and location. He said the object was first located on Tuesday evening. Budi Karya Sumadi, Indonesia's transport minister, said the technical director of Lion Air and staff who approved the flight of the jet that crashed have been removed from duty at the ministry's order. Sumadi said the airline will be subjected to a ministry inspection and operations of all low-cost airlines in Indonesia will be reviewed. Lion Air's president Edward Sirait told The Associated Press that the timing of a meeting with Boeing experts is still uncertain. Daniel Putut, a Lion Air managing director, said Tuesday evening the airline hopes to meet with Boeing officials on Wednesday afternoon. "Of course there are lots of things we will ask them, we all have question marks here, 'Why? What's the matter with this new plane?"' Putut said. Indonesia's Transport Ministry has ordered all Boeing 737 Max 8 planes operated by Lion Air and national carrier Garuda to be inspected. Lion has ordered 50 of the jets, worth an estimated $6.2 billion US, and currently operates nine.